Below you fill find all funeral homes and cemeteries in or near Sinton. Suburbs of Sinton: Papalote, Sodville. 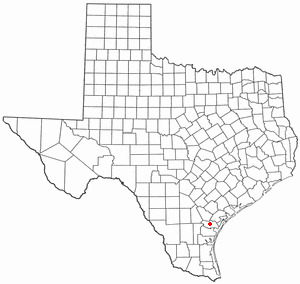 Sinton is also known as: San Patricio County / Sinton city. Zip codes in the city: 78387. Some of the notable people born here have been: (greg brezina). It was disclosed by Kalamazoo Gazette on December 31st, 2017 that Daniel Deanda died in Kalamazoo, Michigan. Deanda was 79 years old and was born in Sinton, TX. Send flowers to share your condolences and honor Daniel's life. It was written by Texarkana Gazette on March 26th, 2017 that Francis Rev "Frank" Zakshesky passed on in Sinton, Texas. Zakshesky was 72 years old and was born in Alpena, MI. Send flowers to share your condolences and honor Francis Rev "Frank"'s life. It was disclosed by Flint Journal on December 9th, 2016 that Francisco R Gatica passed away in Flint, Michigan. Gatica was 79 years old and was born in Sinton, TX. Send flowers to share your condolences and honor Francisco R's life. It was reported by Ocala Star Banner on January 16th, 2015 that Patricia M Holian (Aulich) passed on in Ocala, Florida. Ms. Holian was 68 years old and was born in Sinton, TX. Send flowers to express your sympathy and honor Patricia M's life. It was noted by Greeley Tribune on February 8th, 2014 that Diamantina Mendoza (Garza) died in Platteville, Colorado. Ms. Mendoza was 59 years old and was born in Sinton, TX. Send flowers to share your condolences and honor Diamantina's life. It was revealed on July 19th, 2013 that Clifford Ethan "Cliff" Fricks perished in Redding, California. Fricks was 47 years old and was born in Sinton, TX. Send flowers to express your sorrow and honor Clifford Ethan "Cliff"'s life. It was reported by Index on October 19th, 2011 that Audrey Dee Miss Evans passed on in Springfield, Missouri. Evans was 45 years old and was born in Sinton, TX. Send flowers to express your sorrow and honor Audrey Dee Miss's life. It was revealed by Garden City Telegram on September 30th, 2011 that Geoerge R Jr Sanchez passed away in Kansas City, Kansas. Sanchez was 58 years old and was born in Sinton, TX. Send flowers to express your sympathy and honor Geoerge R Jr's life. It was noted by Coloradoan on June 28th, 2011 that Francisca D Faragosa (Duron) perished in Loveland, Colorado. Ms. Faragosa was 81 years old and was born in Sinton, TX. Send flowers to express your sorrow and honor Francisca D's life. It was written by Austin American Statesman on November 13th, 2008 that John William Isreal passed on in Sinton, Texas. Isreal was 64 years old. Send flowers to express your sympathy and honor John William's life. Sinton is located at (28.034824, -97.508942) . . . . .
Felix was born on January 22, 1974 in Sinton, Texas to parents, Antonio and Juanita (Garcia ... 00 a.m. until 4:00 p.m. at Froberg Funeral Home at Oak Park. Arrangements under the direction of Froberg Funeral Home at Oak Park. Find funeral directors & Funeral Directors in Sinton, TX. Read business reviews, find driving directions, and more. funeral directors on YP.COM. Listing all funeral homes in Sinton, Texas so you can easily send flowers to any location (same day delivery) or find any funeral service. We work with local florists and flower shops to offer same day delivery. You will find budget sympathy flowers in Sinton here. Our funeral flowers are cheap in price but not in value.